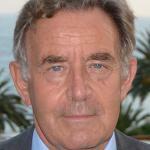 Vice President “Fondation pour la Recherche Strategique” in Paris, former Ambassador and Permanent Representative to NATO (2000–2005) and Senior Auditor at the French National Audit Court (2005–2011). Vice-President of the Institute of International Humanitarian Law in San Remo and Geneva. Chairman of the editorial board of “Revue de la Defense Nationale”. Currently also Associate Professor at Sciences-Po/Paris School of International Affairs.